petition: Zimbabwe: Stop Capturing Wild Elephants and Forcing Them into Miserable Lives in Captivity! 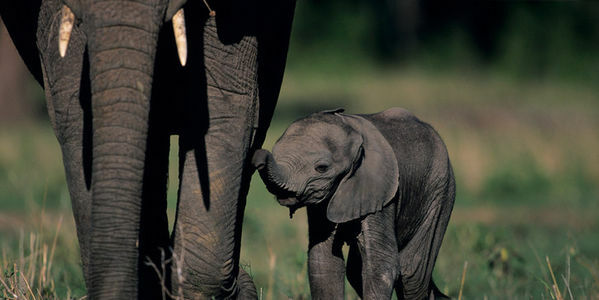 Zimbabwe: Stop Capturing Wild Elephants and Forcing Them into Miserable Lives in Captivity! by: Julie S. and Sharon P.
The ongoing export of wild elephants from Zimbabwe is legal, but morally reprehensible and devastating. Over the past several years, news sources have reported numerous instances in which wild elephants were captured and forced into miserable lives in captivity. For example, in October of 2017, The Guardian obtained heartbreaking footage of five young elephants being captured in Zimbabwe to be sold to zoos in China. The video shows officials physically abusing a terrified young elephant – twisting her trunk, pulling her tail, and kicking her in the head with their boots so that she would back into their truck. These elephants were captured in Hwange National Park by Zimbabwe Parks and Wildlife Management Authority officials in early August and then transported to China, along with 26 others, in December 2017. Often there are deaths during capture and transportation. Very young elephants are separated from their families and deprived of their mothers' milk. The animals live in quarantine for very long periods of time both before and after they reach their destination. If the animals survive, they will likely endure horrific abuse and languish in misery for the rest of their lives. A 2015 National Geographic report showed that elephants shipped from Zimbabwe to China were suffering from extreme distress, injuries and neglect. Elephants are highly intelligent, sensitive creatures that share lifelong family bonds. Mothers and infants who have been separated as a result of human interference recognize one another many years later and show signs of love and affection. Elephants roam over vast areas, enjoy bathing and mud-bathing in large bodies of water, and foraging for natural food – needs that cannot be met in captivity. It is an outrageously cruel act to rip families of elephants apart and force them into a totally unnatural existence. It truly breaks my heart to imagine the suffering these elephants endure – both those who are shipped into captivity and their family members who are left behind in the wild to grieve. We must send a strong message that this barbaric treatment of elephants is unacceptable and must stop. Please sign this petition urging Zimbabwe's President Emmerson Mnangagwa, Environment Minister Oppah Muchinguri, and the Director General of ZimParks to stop exporting their elephants, and to take measures to join the African Elephant Coalition - an alliance of 29 countries that have proposed a ban on the export of African elephants outside their natural habitats. This petition will also request that Chinese officials address and end the nation's demand for wild elephants. The elephants need your voice – please sign and share this petition today! I am horrified by Zimbabwe&apos;s ongoing practice of capturing wild elephants and exporting them to Chinese and other zoos. Capturing and shipping wild elephants is morally reprehensible and devastating from an animal welfare perspective. There are deaths during capture and transport, young elephants are torn from their mothers and families, and in some cases deprived of their mothers&apos; milk, and the animals live in quarantine for very long periods of time before and after they reach their destination. If the animals survive, they will likely endure abuse and languish in misery for the rest of their lives. A 2015 National Geographic report showed that elephants shipped from Zimbabwe to China were suffering from extreme distress, injuries, and neglect. In the wild, it is natural for elephants to travel up to 30 miles per day, bathe and mudbathe in large bodies of water, and forage for natural food. It is impossible for elephants to express these behaviors in captivity. Elephants are highly intelligent, sensitive creatures that share lifelong family bonds. Mothers and infants who have been separated as a result of human interference recognize one another many years later and show signs of love and affection. It is an outrageously cruel act to rip families of elephants apart and force them into a totally unnatural existence. It truly breaks my heart to imagine the suffering these elephants endure – both those who are shipped into captivity and their family members who are left behind in the wild to grieve. I request that Zimbabwe stops capturing and exporting its elephants under the guise of conservation, and instead invests resources in maintaining elephant safety and elephants&apos; natural habitat, concentrating efforts on non-consumptive wildlife tourism. I urge you to take measures to join the African Elephant Coalition – an alliance of 29 countries that have proposed a ban on the export of African elephants outside their natural range. I also request that China stop demanding wild elephants for the purpose of human exploitation. I, and hundreds of thousands of people around the world, no longer want to see these magnificent creatures suffer in captivity.